Providing dentistry for patients of all ages, offering complete & comprehensive dental care. 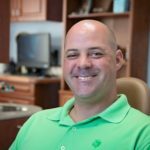 At TADA Dental we offer professional dental health care including checkups, oral health consultations and any necessary dental treatment. 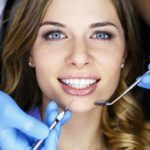 We help our patients by discussing oral hygiene techniques that will help them maintain a healthy and beautiful smile for life. Chipped teeth can be treated either by cosmetic bonding or porcelain restoration in one appointment. As always, another great experience at Dr. Turke's office. Great staff and Sonta is always educating me. The latest tools are used to photograph and diagnose dental issues. Thanks everyone! Dr. Turke is the best! Always a great experience with Dr. Turke and his staff. Highly recommend giving them a try! Dr. Turke did an amazing job. Both my wife and I had work done and could not be happier. Yesterday I had 2 crowns and 2 fillings done on the same side, no pain as if now and will definitely recommend. We take all major credit cards, checks & cash along with insurance. Please call us to check dental coverage under your insurance plan. We will contact your insurance company to verify you are covered. 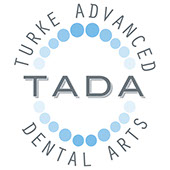 TADA Dental offers an amazing plan that provides an oral health consultation including full mouth x-rays, a treatment plan and two exams & cleanings per year. You'll also save up to 50% on treatments with this low-cost plan! Read more about it here.